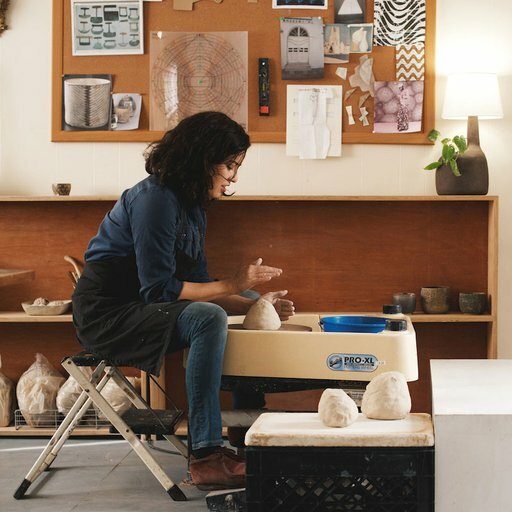 Los Angeles-based artist Pilar Wiley makes ceramic vessels that serve as canvases for her repeating patterns and pictorial themes. Her surfaces express the idiosyncrasies of mark making, referencing global traditions of decorative abstraction as well as imagery drawn from plant life and her childhood overseas. Influenced by the forms and techniques of West and South African pottery, Wiley advances a personal mythology through the repetitive ceramic process. Capitalizing on clay’s ritualistic associations, she endeavors to transform the information she consumes. 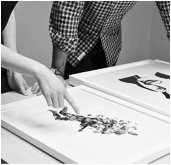 Wiley presented work at NADA, Miami Beach and Paramount Ranch, Los Angeles in 2015. Recent group exhibitions include Void + Collapse, New York (2016); Pictures and Vessels, Keystone Gallery, Los Angeles (2015); Pot Heads, Design Matters, Los Angeles (2014); West Coast ’14 Californian Ceramics & Wall Hangings, Idee Shop, Tokyo (2014); Near Dark, Young Art, Los Angeles (2013); and The Planter Show, For Your Art, Los Angeles (2012). Influenced by West and South African pottery, Wiley plays up the ritualistic associations with clay with her repetitive glazing process.